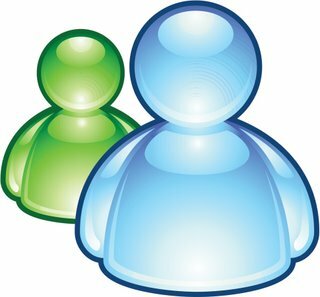 I nyaste uppdateringen av Live Messenger (MSN) har man tagit bort alternativet Visa Webcam och nu går det bara välja Videokonversation. Resultatet är sämre kvalité och ljudet följer med som default, så glöm inte mute:a micken om du inte vill motparten ska höra dig. In the past, we offered two choices to start a video conversation with someone. You could either click “Video Call” or select “Show my webcam.” Video Call is the full-featured option that includes two-way video and audio. It is how most people expect video calling to work. Show my webcam was a one-way feature, where you could show your webcam’s video to your friend, without audio. This caused a lot of confusion, and our data showed users would often click “Show my webcam”, only to be surprised they didn’t have audio, and couldn’t see their friend. They would then attempt to turn these on separately. Furthermore, the two features used a different video code-path which made switching between these scenarios hard, and also made it hard for the team to make quality & performance improvements to the scenario as a whole. There are only really two aspects that are different: (1) it is no longer easy to hide your webcam’s feed if you have one enabled when you start a video call (you can still do this using the AV settings dialog). (2) You can no longer set up “webcam rings” with multiple people sharing silent video one-way. There are valid reasons to enable both of these scenarios, but their usage was very infrequent, and made both the user experience and the code overly complicated. This is why we have chosen to move forward with a simpler option. Please look for a post soon about our expanded video capabilities in Wave 4.